If you don’t think you like jell-o shots (who are you, though?) these will change your mind. You’re never too old to have a little fun with tequila! 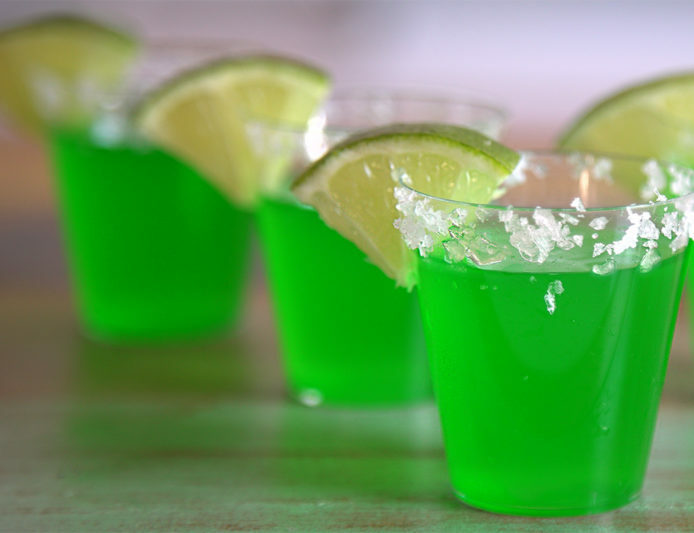 Change up your basic margarita by making it into a jell-o shot. You may never go back to the original once you’ve had these babies. Pro tip: Get margarita flavored gelatin instead! Mix jell-o mix and water, and stir until dissolved, then add margarita mix and tequila. Pour into cups and let them refrigerate overnight. Once firm, dip the rims into lime juice and salt. Add a lime and enjoy!